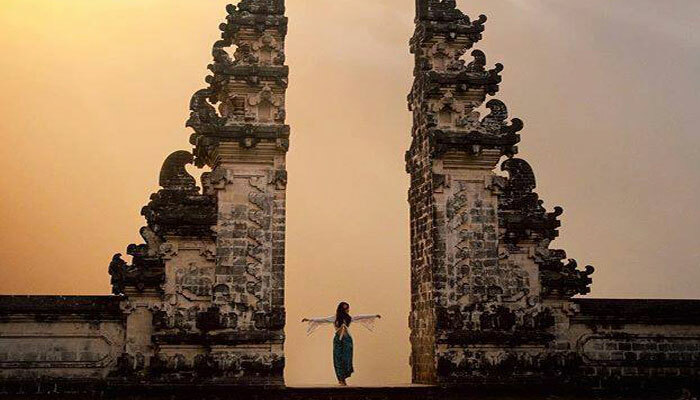 Lempuyang Heaven Gate, Water Palace, and Tukad Cepung Waterfall Tour is one of the best Instagram tour in Bali to The “Gateway of Heaven” at Pura Lempuyang Temple that absolutely breathtaking!. Though the trip is a long journey to reach Pura Lempuyang but the view of Mount Agung through the temple gates will leave you speechless. on this Lempuyang haven gate tour, we will visit amazing spot such as water palace of Tirga gangga, and Tukad Cepung waterfall located in between the rock formations and if you are lucky enough, the sun rays will create an amazing show just for you. 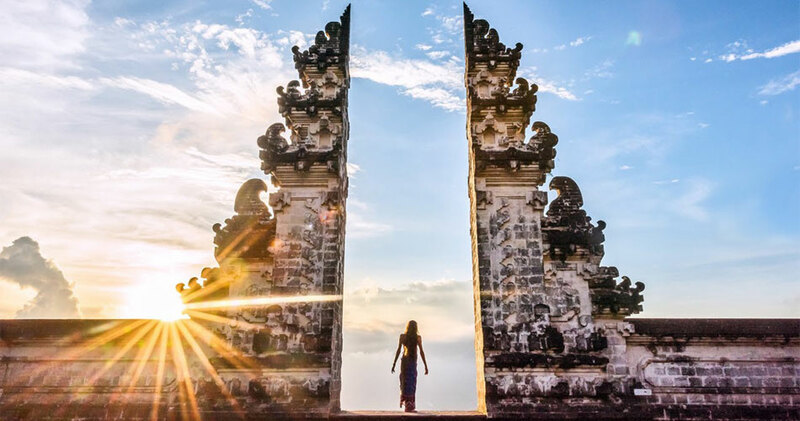 Lempuyang Temple is one of Bali’s oldest and most respected temples on Bali island, as well recently become Instagram famous and known to the western world as "The Gateway to Heaven". The entire landscape looks very picturesque from this temple gate overlook to Agung volcano the biggest volcano in Bali. From this Gate you will see The Heaven of beautiful Bali like you are standing in the sky. 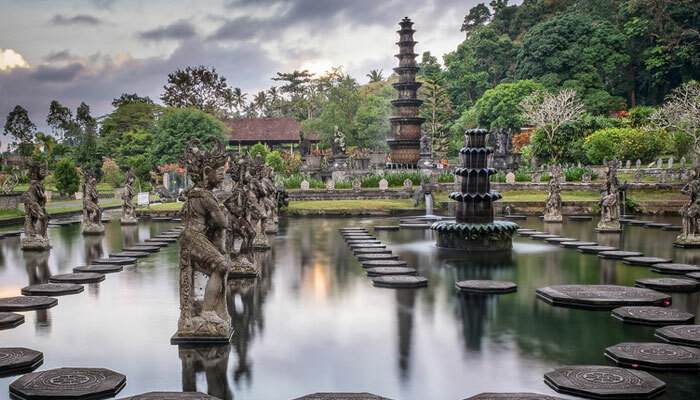 Tirta Gangga Water Palace also known locally as Taman Tirta Gangga, is a former water palace of Karangasem empire which one of east Bali’s most famous sights. Situated in the town of Amlapura, which feature 1.2ha of pools, ponds and fountains surrounded by tropical gardens. The centerpiece of the palace is an eleven tiered fountain and there are many beautiful carvings and statues adorning the gardens. The area around Tirta Gangga is noted for its rice paddy terraces. Tukad Cepung Waterfall is one of the the most beautiful and uniqueness of different waterfalls than others, located in the middle of high cliffs, with very clear water, slightly enter the cliff area that seem to coincide with one another. Tukad Cepung Waterfall has mesmerized everyone who have managed to spot it. Well-guarded by the cliffs, this waterfall is difficult to locate for the first time visitor. 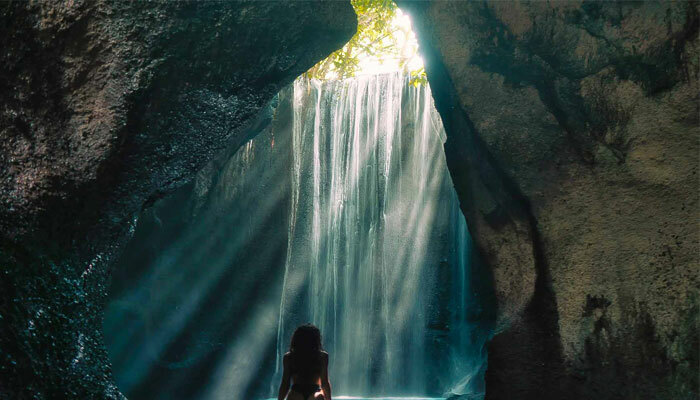 The circular cliffs give you the feeling of being in a cave, while the open sky right from where the waterfall emerges, gives you the most enchanting view. Lempuyang Heaven Gate, Water Palace, and Tukad Cepung Waterfall Tour will bring you to the wonderful memory with the different experiences as the feature of this package and will be completely enjoyable using air conditioning vehicle and led by the Bali Driver/Guide who will be interactively provide complete information and personal assistance for you to create your unforgettable experiences. Providing the best services to suit every traveler’s needs. We’re a Bali specialist, focus on giving extraordinary services and experiences to customers.